The sweetly scented, creamy-white flowers of the elder tree appear in abundance in hedgerows, scrub, woodlands and wasteland at the beginning of summer. 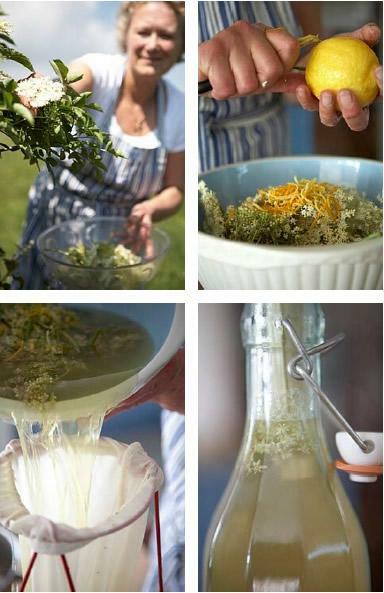 The fresh flowers make a terrific aromatic cordial. They are best gathered just as the many tiny buds are beginning to open, and some are still closed. Gather on a warm, dry day (never when wet), checking the perfume is fresh and pleasing. Trees do differ and you will soon get to know the good ones. Remember to leave some flowers for elderberry picking later in the year.